For boiler installation Leeds based residents and commercial businesses continually employ the specialist knowledge of Woolfoot Heating. We are a passionate team of dedicated experts that specialise in boiler installation in Leeds and throughout the surrounding area. We service a range of clientele, both domestic and commercial, and have provided our heating know-how to local schools, hospitals, care homes, hotels, warehouses and large businesses. One of the most common questions that our Customer Service team is asked is – when is the right time to replace a boiler? Generally speaking, a boiler should be replaced approximately every ten years or so – to gain the optimum performance from it. This will help you to save a significant amount of money on your long-term heating bills and boiler insurance. Older boilers suffer from a marked deterioration in performance and efficiency as they get older. The difference in savings each year between a fully efficient boiler (rated ‘A’ for efficiency) and an older boiler (rated ‘G’ for efficiency) is approximately £320. Over the course of ten years can help you to make energy cost savings in the region of £3000. It’s a good idea to look out for these three tell-tale signs that your boiler is not operating at an optimum level, which will help you to access if it is time to consider investing in a new boiler. You get in the bath or the shower. The thermostat is at its usual setting. The problem, and a rather common problem it is too, is that the water is running lukewarm. You get out of the bath or the shower, turn the thermostat up and a few minutes later the water is running hot again. This is the most obvious sign of boiler deficiency and if you find that this problem is occurring consistently, then you would be best advised to purchase a new boiler. What this situation means is that your boiler has to work harder to achieve the once standard levels of heating which, in turn, means that your boiler is using up more energy. This decrease in energy efficiency will increase your energy bills by a considerable amount. As the internal mechanisms of a boiler degrade over time, boilers utilise a lot more energy to create a flow of hot water to your bathroom and your central heating systems. Indeed, a boiler that is not operating to its optimal efficiently level in the winter months can cause a massive increase in your energy bills. Another key sign that it may be time to invest in a new boiler is evidence of leakage from your existing boiler. A broken seal or valve may result from poor boiler installation or general wear and tear, but a greater problem arises when a leak causes corrosion and rust within the boiler itself. This can lead to the short-circuiting of electrical components. Likewise, external leaks can cause structural damage to your property and become a serious problem if your boiler is located within close proximity to electrical sources. If you have noticed any of the above noted problems with your boiler then it may be time to consider opting for a brand-new one. 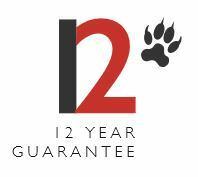 Our professional boiler installation service comes with a 12-year guarantee as standard. 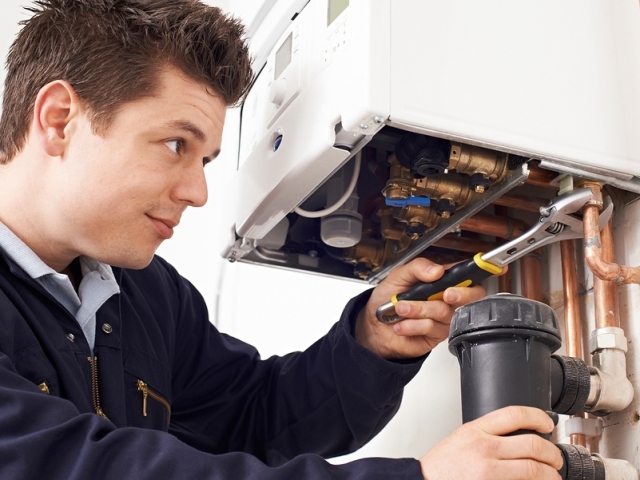 For boiler installation Leeds, homeowners and businesses readily turn to us for the comprehensive service that we offer. This includes installation, repairs and maintenance, aftercare and professional advice in relation to energy efficiency. 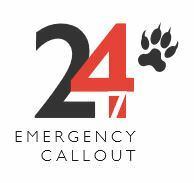 If you require any further questions answering, then please feel free to contact us on 0330 113 8555.